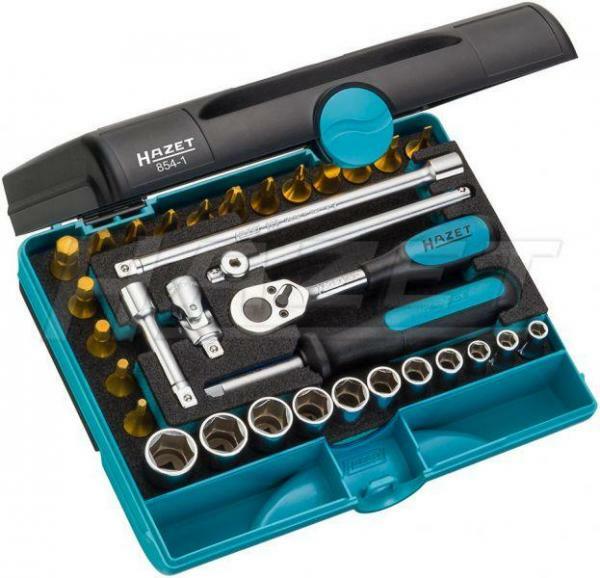 This is a high quality 1/4" drive socket set with 33 tools in a Hazet Smart Case box. The tools are safely embedded in a PUR foam insert. The insert can be taken out of the box and used in a Assistent or a drawer. The screwdriver sockets are coated with CVD titanium nitride (TIN) for best wear resistance.